Built in 1893, the Chautauqua Amphitheater was the "beating heart" of a National Historic Landmark District located 70 miles southwest of Buffalo, NY. 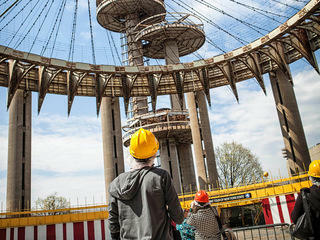 Internationally recognized as a forum for American culture and history, the 4,000-seat, open-air structure hosted a wide range of leaders, activists, and artists over its 122-year history. FDR delivered his “I Hate War” speech there in August of 1936. William Jennings Bryan, Susan B. Anthony, Thurgood Marshall, and Bobby Kennedy all walked its boards, as did Ella Fitzgerald, Lionel Hampton, Marian Anderson, Susan B. Anthony, Van Cliburn, Amelia Earhart, Booker T. Washington, Bill and Hillary Clinton, and Sandra Day O’Connor, to name a few. 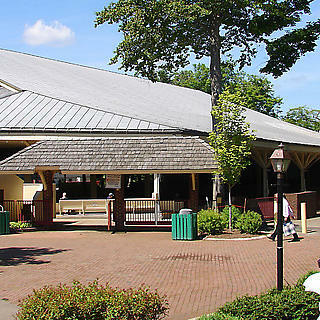 Despite this rich history, the Chautauqua Institution announced in fall 2014 its intent to demolish the historic Amp to make way for a replica with updated amenities. 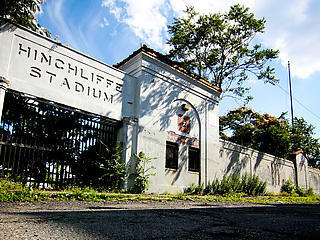 Lead by the National Trust, a coalition of preservation organizations, architects, and community stakeholders fought plans to demolish this iconic place where over a century of American history happened, arguing that authenticity can never be replaced and that the existing Amp – like many historic performance venues across the country – could be thoughtfully renovated to meet modern needs. Unfortunately, in December 2015, the Chautauqua Institution's Board of Trustees voted to accept a $41.5 million bid to demolish the Amp. By September 2016, the demolition was complete. 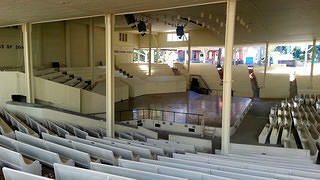 Interior view of the Amphitheater. 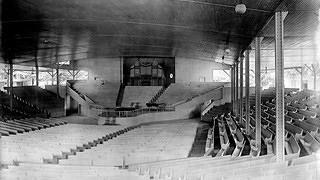 Interior of Assembly Hall, c. 1899. The National Trust would like to thank all of the supporters who joined our campaign, as well as our strong coalition of partners. Your voice and hard work was instrumental in our efforts, and we are grateful for your dedication to our mission of saving places for future generations. Your charitable donation will support our work to save America's National Treasures.